SF-Research is the very first tool dedicated to nanoparticles depositing and organization on surfaces. 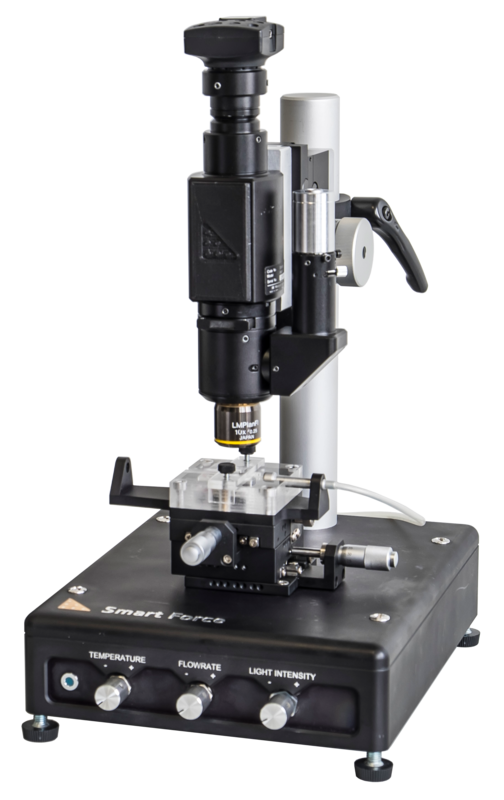 Based on the capillary force assembly effect, it allows you to perfectly control the placement of your colloidal particles with a nanoscale resolution. With SF-Research you can bring to reality next generation components in areas such as electronics, photonics, and even biotechnologies. Smart Force Technologies is a young French company specialized in innovative micro and nanofabrication tools with an expertise in nanoparticle handling and photolithography. The mission of the company is to make the microfabrication world accessible.